Some things come into our lives and simply brighten them. The 2017 Chrysler Pacifica is one such thing, and it’s perfect for viewing rare solar eclipses as well as star gazing on a crystal clear night. 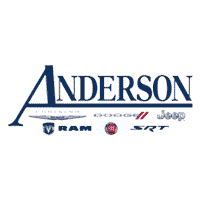 Anderson Chrysler Dodge Jeep proudly offers the capable and accommodating Chrysler Pacifica to our customers and drivers around Lake Havasu City. This minivan features a 3.6-liter engine with 287 horsepower and a nine-speed automatic transmission. Packing up and packing in the family is quite easy with seating for seven and ample storage space. Features like a Uconnect theater system, SiriusXM radio, an 8.4-inch touchscreen and more will keep even the most antsy passengers entertained and content. The Chrysler Pacifica is waiting for you, so come on by and brighten up your driving experience today.